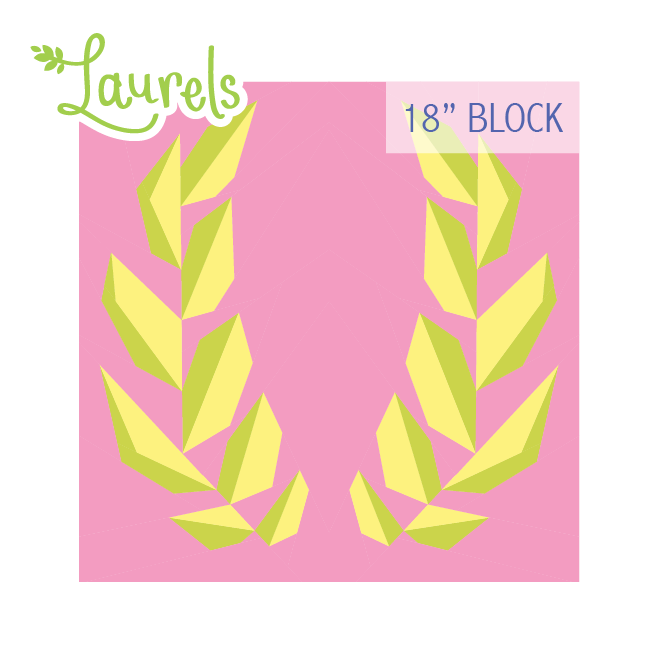 This PDF pattern is for a foundation paper pieced 18" finished size laurels block. The pattern assumes previous paper piecing experience as paper piecing instructions are not included. The thirteen page pattern includes three pages detailing the order of piecing with diagrams and colouring worksheet and ten pages of pattern templates including 1/4" seam allowance.